I could dimly see through the blacked-out windows of the van as our driver rolled slowly down the narrow alley past a line of overflowing trash bins. I could smell the river when we stopped at a non-descript doorway. 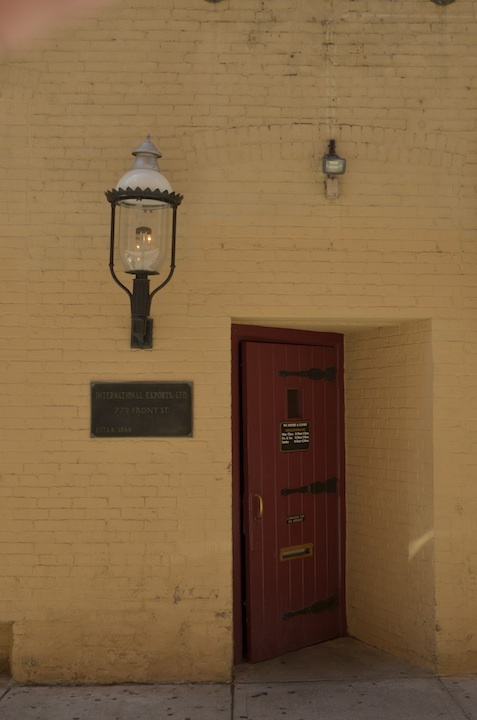 This late in the evening the dim glow of the lamp mounted on the yellow brick wall barely illuminated the small bronze plaque that read, International Exports, Ltd. / 779 Front St. / Estab. 1968. Clad in a London Fog trench coat, our driver merely indicated the heavy door and we quickly stepped through into a small room. Two women barred our way and demanded the password. We had arrived at the Safe House. This wasn’t London, nor was it a James Bond film, but it might as well have been. This was my first night in Milwaukee and while I could find people who admitted knowing about this long-established watering hole, not a soul would tell me more or divulge the password. Even our driver claimed that he wasn’t privy to it. It’s not a place you’re likely to stumble across when wandering around Milwaukee during Harley-Davidson’s 110th Anniversary Celebration. 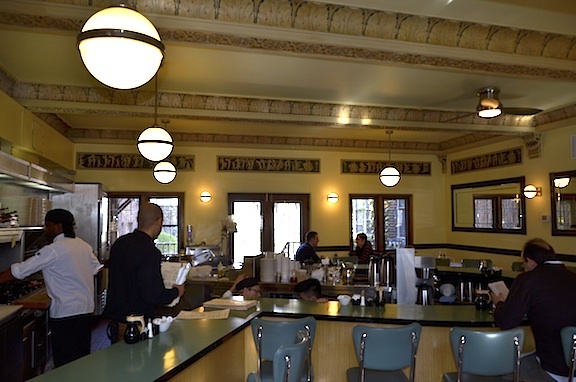 Located in a vintage luxury hotel just off East State Street and very close to Veterans’ Park where many of the official H-D venues are taking place, the Café At The Plaza is one of those secret places the locals are reluctant to share. Art-Deco elegance and friendly diner atmosphere. 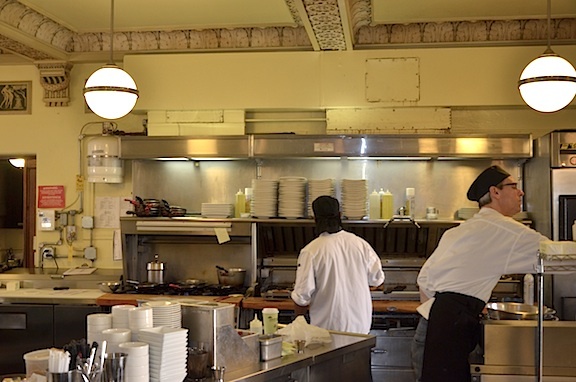 Open kitchen means there is nothing to hide.